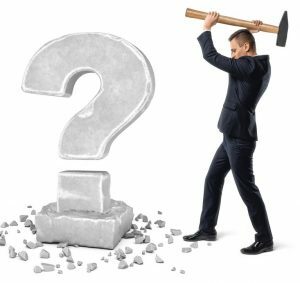 To some salespeople, asking customers so-called tough questions comes naturally and easily – others seem to find it much harder. You know the questions I’m talking about: they are often around qualification, motivation, commitment, access to other people and what needs to happen from here to PO. Salespeople know they should ask these questions – because it says so in the forecast tool and their manager is under pressure for predictability in the forecast. And the answer needs to be from a customer perspective, not just because the salesperson needs to survive their next deal review. *The Challenger Sale by Matthew Dixon and Brent Adamson – the only ground-breaking sales book I’ve read in my 30 plus years in sales.